Who called? Do you know how to identify blocked, private, or unfamiliar phone numbers? Who called? It is your first thought if you have ever received a phone call from a blocked, private, or No Caller ID phone number. Who calls you from an unfamiliar, blocked, or no caller ID number? How can you reveal the caller behind an unwanted or blocked call? How can reverse phone lookups help your blocked call problem? How can you stop blocked or unknown phone calls, for good? Who called you from an unfamiliar, blocked, or no caller ID number? There is no shortage of people making calls from unknown numbers or blocked caller ID. These callers can be from phone scammers, ex-boyfriends and ex-girlfriends, or business competitors, or legitimate businesses trying to reach you. Others may even use blocked calls to get your attention, get under your skin, and in the worst cases – steal your money or identity! Regardless of the type of unwanted call you have received, there is one underlying characteristic. Unsolicited phone calls are an intrusion of your privacy, an interruption to your busy day, and a threat to your sense of security. Why is it important to find out who called? Unknown or fake calls are dangerous for everyone. There are two primary reasons why finding out who called is imperative. Unknown calls damage your relationship and trust with your smartphone. We are conflicted when unfamiliar phone numbers appear on our caller ID. Who is calling? Should I answer? What if this call is urgent? What if it is a telemarketer? Phone harassment is a serious matter. Many times, unknown or blocked phone calls are designed to be harmful. If you do not find out who called, you cannot stop the caller from bothering you, and your unwanted call problem will persist. Identifying who called you from a blocked or unknown phone number is no easy job. That can be frustrating in phone harassment circumstances because there are few solutions that put an end to the unwanted phone calls. The question still remains: how do you figure out who called you from an unknown or unrecognized number? Though reverse phone lookups are a conventional approach to identify the person behind a phone number you do not recognize, these services cannot determine who called from Blocked, Private, and No Caller ID phone calls. This is because the caller’s phone number is unavailable they call from a blocked caller id. Because the caller’s phone number is hidden, there is no way to protect yourself from receiving the call without downloading a third party app like TrapCall. This service will allow you to quickly unmask the person’s phone number who placed the call(s) and equip you with the information to understand who called and hold the caller accountable for their actions. 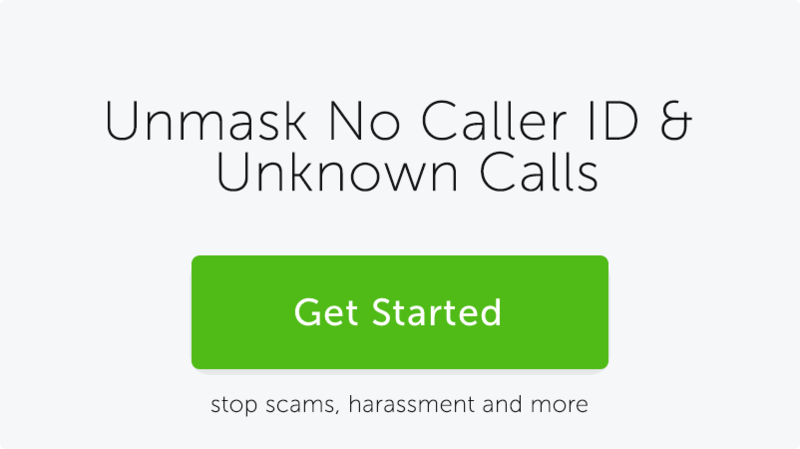 TrapCall will work its magic and unmask the anonymous call! Note: With TrapCall’s Premium and Ultimate packages, you’ll be able to not only expose a restricted number, but you can also go a step further to find out who the caller is, and where they live. If you’re experiencing any type of harassment from anyone, these plans will identify exactly who’s calling you. Now that you’ve been able to successfully reveal who called by unmasking a blocked phone number with TrapCall, you can use TrapCall’s reverse phone lookup functionality to identify the person behind the blocked phone number. TrapCall makes the impossible, possible – and it is easy to do! With TrapCall, you can look up any phone number and get more information about who called you. This puts the power in your hands to take action against the harasser or scammer behind these blocked calls. TrapCall will provide all relevant information about the number you input instantly! 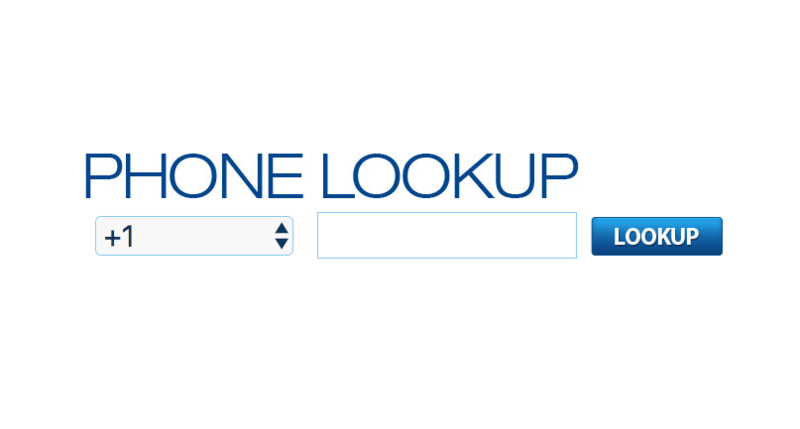 Another simple solution to doing a reverse caller lookup is to use a reverse phone lookup website such as PhoneLookUp.com. Once you’ve unmasked who called from a blocked call with TrapCall, you can just log onto the site and look up the number. Reverse phone number lookup websites are useful to help understand who called on either landline or mobile phones. However, many of these services will give you limited information on the caller. Many free reverse phone number lookup services or apps will merely yield results based on the area code and prefix to identify a phone number’s originating location. Searching for 203-531-4545 would produce results as Greenwich, Connecticut, and nothing else. There may be a small value to having that knowledge, but getting a name, address and other identifying data such as email address or company name are much more valuable. For that reason alone, investing in a paid reverse phone lookup service or app such as TrapCall will ensure you get all the information you need to find out who called. Once you’ve identified the phone numbers that are bothering you using TrapCall, now you can do is to take specific steps to ensure it does not happen in the future. TrapCall gives you the power not only to identify the actual caller behind blocked calls but stop them from ever being able to call you again! With TrapCall’s blacklist features, all you have to do is just add the phone numbers you do not want to receive calls from into your personal blacklist within the app. Once these phone numbers have been unmasked, users add them to their TrapCall blacklist. Select the “Add to Blacklist” button. Note: You can also blacklist phone numbers by area codes only. This means, if you are receiving phone calls from numbers that are neighbor spoofed, TrapCall can easily ensure you are protected before the phone even rings. When the scammer or harasser tries calling you again, they will hear: “This number has been disconnected”. Blacklisted callers will be fooled to believe you’ve disconnected your number and will give up trying to call you. Imagine the looks on their faces when they get that message! Priceless. If you are or have been a target of blocked call harassment or scams, you understand that always knowing who is calling you is invaluable. 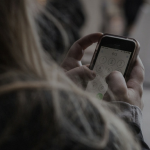 With the help of third-party apps such as TrapCall, you go beyond revealing who called to possess the tools needed to take action against your villainous phone harasser. 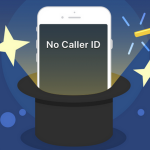 While it is no secret that TrapCall has magic powers, don’t just take our word for it. If you would like to put TrapCall to the test, give us a call from a blocked phone number. You can do so by dialing *67-334-212-5001 . TrapCall will read YOUR phone number back to you. TrapCall is the ultimate app to give you the power to stop phone harassment, telemarketing and spam calls, and phone fraud. In a world filled with unwanted spam calls and unknown numbers – technology such as TrapCall puts the power in your hands to reveal the true identity of a caller by looking up precisely who and where the call came from. Find out who called with TrapCall today!